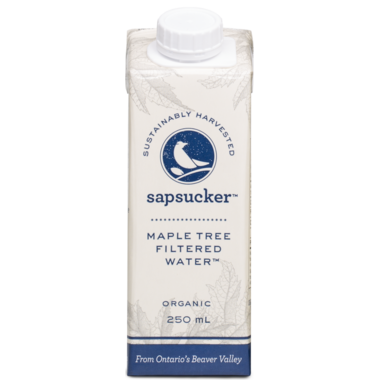 Sapsucker is water harvested from mature maple trees, technically called sap. 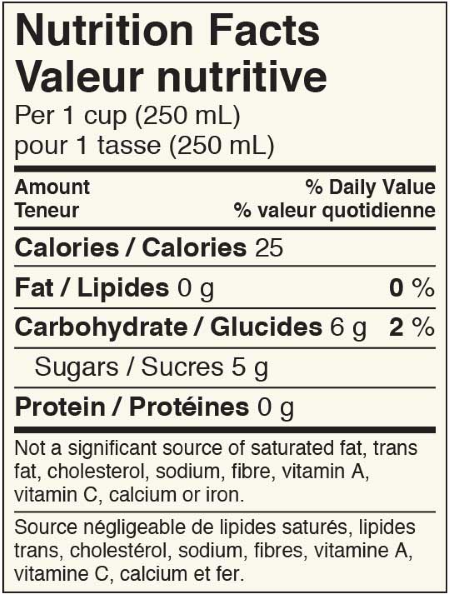 It has a unique delicate taste that is unlike anything you've had before. 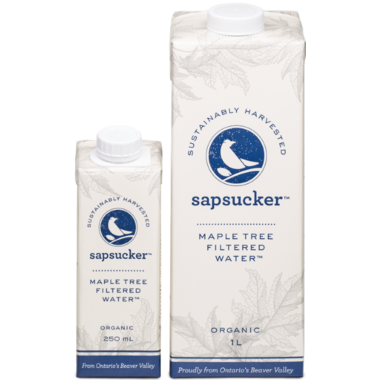 You can substitute Sapsucker for ordinary water almost any way you like. On its own as a light refreshment or after exercise, it offers the same hydration benefits, but with its own unique nutrients and characteristic hint of sweetness. Sapsucker’s mild minerality makes it a wonderful complement to a meal, which is how we love it best. We think it provides the most balanced taste when chilled to approximately 5°C, about the same as a perfect glass of Champagne (or a chilly spring morning). Sapsucker is at home in the kitchen, too, where it can be substituted for ordinary water in almost any recipe. Heat will bring out more of Sapsucker’s sweetness, so it adds a particularly special touch to soups, broths, stews and braising. It even makes great coffee and tea! I wasn't sure what to expect, but this was very nice, not really sweet but just a hint of maple. I would get this again. Will have to try cooking with it or for tea or coffee. I tried this because it sounded interesting and was on sale. It was very refreshing with only a subtle maple sweetness. I may try this again.